It’s mid-July, the perfect time to take stock in the resolutions you made at the New Year. How are you doing? Did you resolve to eat healthier and to donate to charity? It’s never too late to start, and with FUJI-TFT bentos from Café Zaiya, you can do both at the same time. Café Zaiya, a bakery that makes pastries and bread from scratch, recently partnered with FUJI Catering and TABLE FOR TWO (TFT) to sell nutritious, low-calorie bentos and to help provide school lunches to impoverished children in Africa. The bentos are prepared by FUJI Catering, a bento delivery company that started collaborating with the non-profit organization TFT in February of this year. For each FUJI-TFT branded bento sold, TFT donates 25 cents to its programs in the African nations of Uganda, Rwanda, and Malawi. This is part of TFT’s two-pronged approach of combating both obesity (by selling nutritious meals to people in developed countries) and hunger (by feeding hot meals to children in countries that are poverty-stricken). The program is now in its third week of selling FUJI-TFT bentos at Café Zaiya, and Fumi Tosu, TABLE FOR TWO USA’s COO, has noticed an immediate impact. 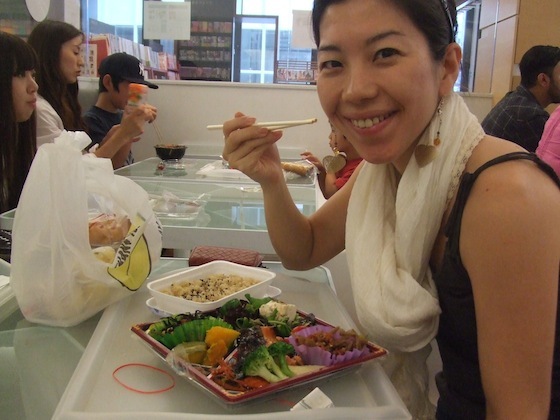 “This partnership has definitely generated greater publicity and interest for TABLE FOR TWO,” says Tosu, who joined the organization in 2009, one year after the Japanese-based charity established operations in New York City. Perhaps those partnerships will lead to more people eating healthier meals in New York and donating more money to those less fortunate. So make a mid-year resolution to eat a low-calorie meal and help a child in need. For more information on TABLE FOR TWO, visit their website. Can’t leave the office for lunch? 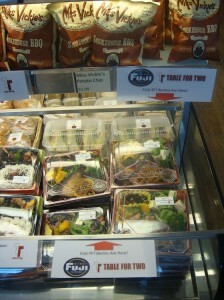 FUJI Catering delivers. 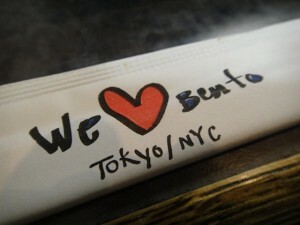 Visit their website to learn how your company can order FUJI-TFT bentos. 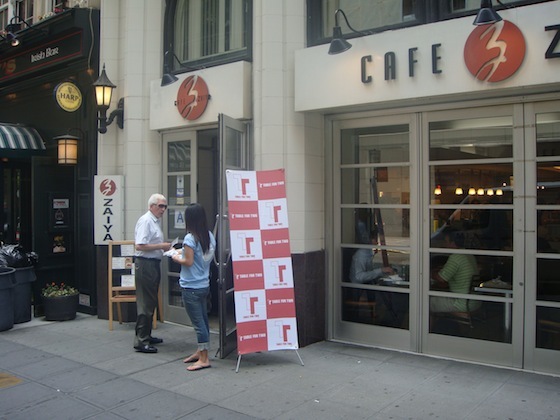 Café Zaiya has three locations in New York City: In Midtown at 18 East 41st Street, inside Kinokuniya bookstore at 1073 Avenue of the Americas, and in the East Village at 69 Cooper Square.